John's love of adventure and gregarious nature are a conduit for making new friends, getting outdoors and trying out the latest in outdoor gear. Check out what's new. In late 2015, John and his friends from Kuiu, took a trip to Alaska to hunt caribou. What they found was a stunning wintry landscape at the edge of the world. Kuiu makes extremely durable, lightweight outdoor gear. Visit the Kuiu website to find out more. In Summer 2015, John became a member of Camillus Knives Pro Staff Team, joining survivalists, adventurers and fellow TV personalities Les Stroud, Jared Ogden and Grady Powell. Pro Staffers play a key role in the design and development of Camillus blades through in-the-field use. Visit the Camillus Knives website to learn more about some of the finest cutting tools made in America as well as the Pro Staff. John is a member of the Triumph Pro Staff. Triumph Systems is a St. Louis, MO based target and training manufacturer. 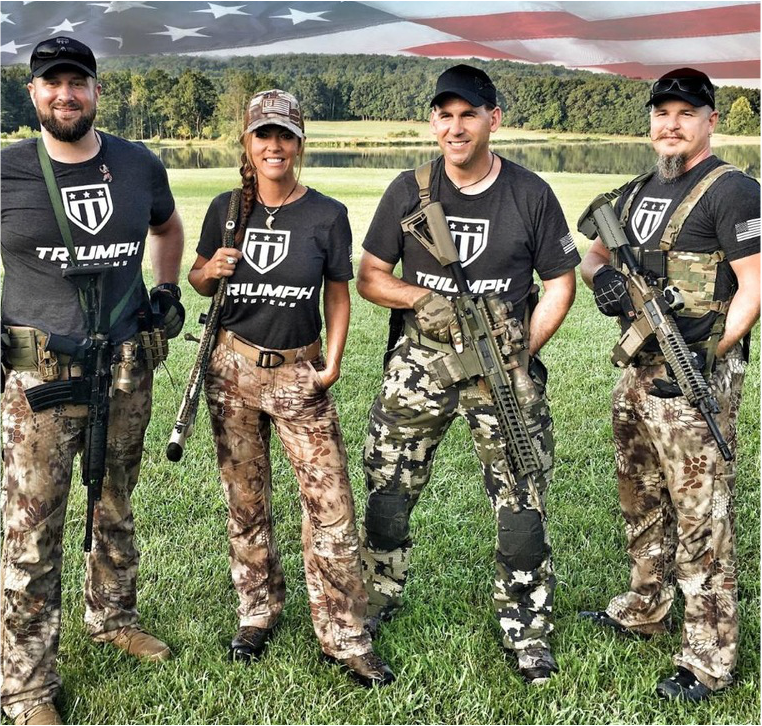 Founded in 2015 by former Navy SEAL Jared Ogden, Triumph Systems is redefining cognitive & discretionary training amongst law enforcement agencies nationwide, academies, federal agencies, international agencies, CCW holders, and defenders of our country.